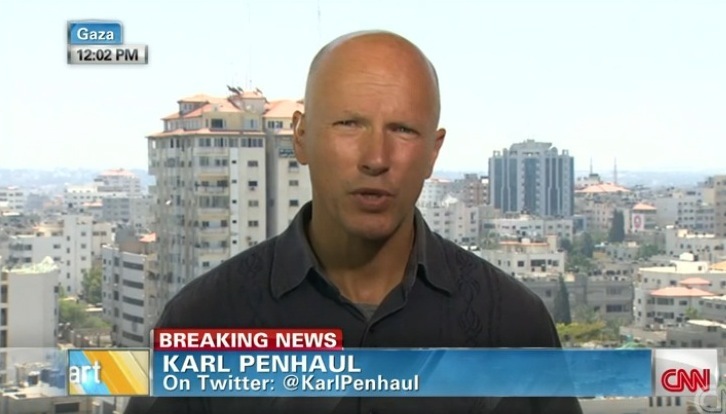 Karl Penhaul, a freelance international correspondent for CNN and CNN en Español, went on a bizarre Twitter rant a short time ago about GOP presidential hopeful Donald Trump. He was offering kudos to Univision for dumping Trump and canceling the broadcast of the Miss USA pageant following Trump’s offensive comments about Mexicans. As a side note, Penhaul has freelanced on and off for Univision News, as well. There is something distinctly nasty about Karl Penhaul, having seen how he reports and treats some of the people he comes into contact with and seems to think he has a god given right to go anywhere he pleases, his recent report at the G8 walking in between riot police and just getting in the way.